I decided on the Raspberry Pi (in this case a Pi3 – Pi 3B+ now available). It fitted my requirements exactly. Low inital outlay, low running annual costs, no OS licence fee, small and quiet! Once you have completed the inital network configuration, you can connect to your Raspberry Pi via SSH using Putty (default login for the Raspberry Pi is pi and raspberry). So, you’ve got your Pi plugged in, and you’ve installed the latest version of Rasperian OS (if you’re new to Linux and the Pi family, download the NOOBs installer! ), now its time to get to work. NOTE: I’m not going to show you how to cache encrypted SSL traffic (port 443). This guide will show you how to cache non encrypted (80) traffic only! Configure a static IP on the Pi. Remember, unlike Windows, Linux commands are case sensitve! This guide is based on Raspbian Jessie! Scroll to the end of doc and enter (use a static ip from your subnet, and change the router address to that of your own router). Option 9, advanced config. A3 memory split. 8. Option 3. Boot options – select boot to CLI. If your running a Raspberry Pi2, you’ll be able to overclock it as well! Option 5. Make sure SSH is enabled. At this stage , you will be able to SSH onto your Raspberry Pi using Putty. This will let you remove the keyboard / mouse + monitor, and let you copy & paste the remaining commands if you want. Hit Y if prompted to reboot. 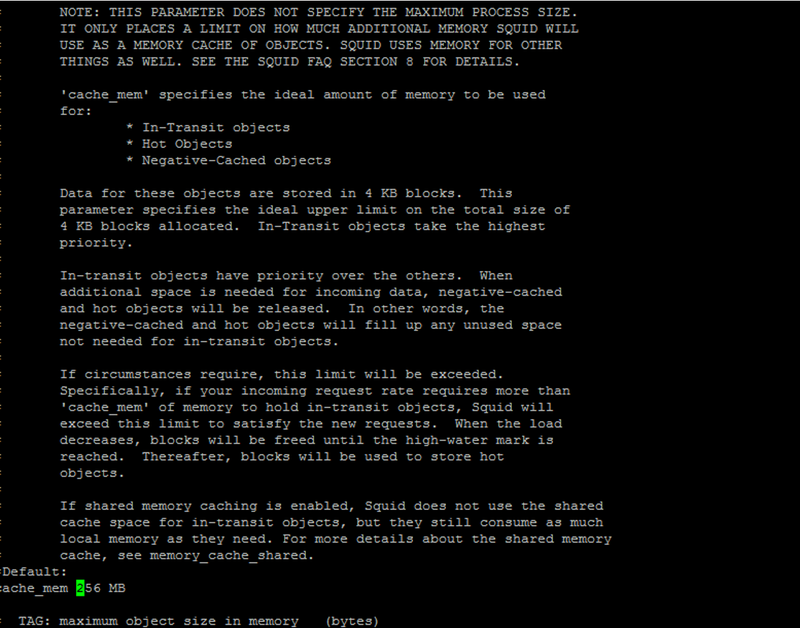 Now we have a fully patched and up-to-date version of Rasparian; its time to install Squid. 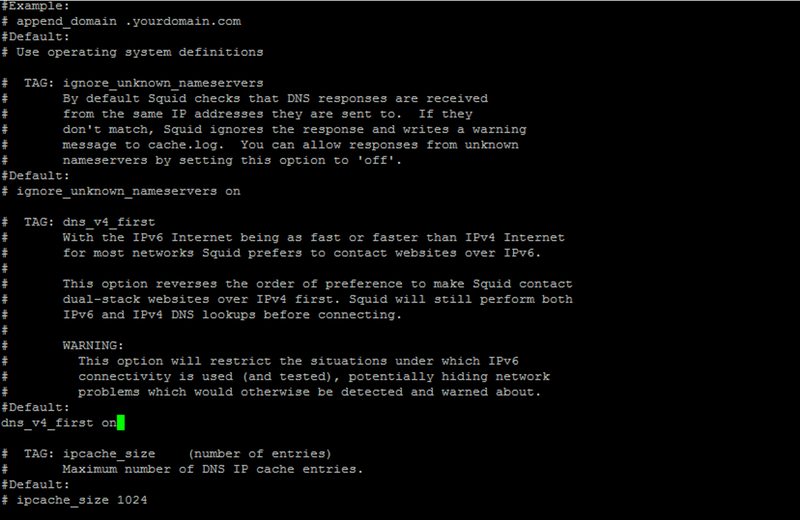 Find: # dns_v4_first off remove the # symbol and change off to on. Ctrl + X and Y to save & exit. Login using the raspberry pi login (default is pi and raspberry). In webmin; you’ll be able to adjust Squid settings through webmin. Look under servers; Squid proxy server. You’ll find SQUID hidden under the In-used modules menu. Click on the edit config button, change squid3 to squid where highlighted. Hit save, then hit the orange apply config button. After a minute of so, the Squid services will be restarted and Webmin will work. 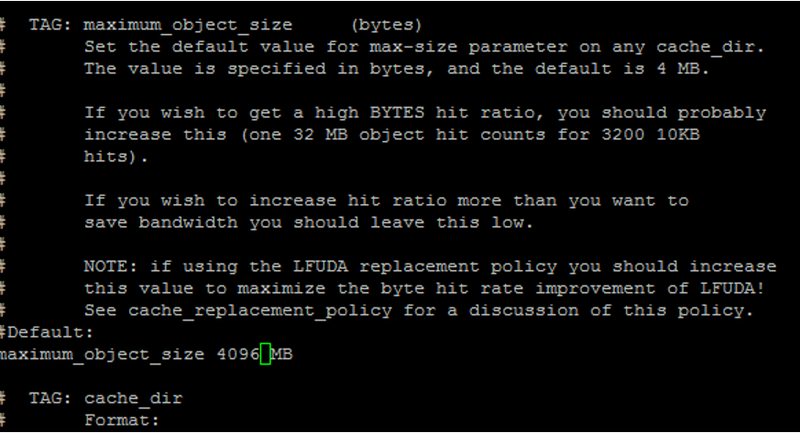 If you have an error relating to the cache manager statistic icon, ssh back onto the Pi, use sudo nano to edit the config file, make the required change and save the file. You may need to reboot the pi. Set windows browser proxy: Enter the ip address of the Raspberry Pi (192.168.5.250) and port 3128. Restart browser. Clear your browser cache and restart the browser. You should now be using the Squid Proxy server on your Raspberry Pi. Hits are items being pulled from the Squid Cache rather than the internet. If your unlucky enough to have a slow or laggy internet connection, one possible solution for you is to build and test a Squid proxy server. However, bear in mind, your mileage may vary as not all objects are cacheable, and certainly any improvement is less noticiable on fast internet connections such as BT infinity. I performed some “not very scientific” tests using OpenOffice.org. I found that the download speed of the OpenOffice installer on the first try was 3.9mbs, jumping to 7.9Mb/s after caching once, then maxing out at 9.8Mb/s on the second and subsequent runs (likely a limitation of the Raspberry Pi’s network card – which is limited to 100mbs – UPDATE: Raspberry Pi3B+ has a much faster NIC card). ← Tis the season to be infected..
Static IP should be configured via /etc/network/interfaces! 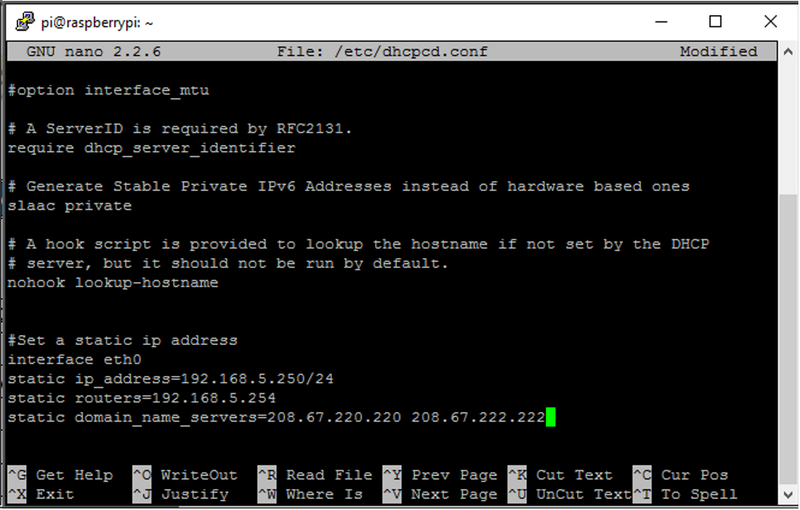 change ‘iface eth0 inet dhcp’ to ‘iface eth0 inet static’ then add configuration for IP, netmask, gateway and DNS as per example below. The method you’ve posted isn’t valid in Raspbian Jessie (You are correct in that it is valid in other Linux distros, even the previous Raspbian build – Wheezy). your informed that the config has moved to /etc/dhcpcd.conf instead. Does it works whit sites using https? Hi. No, only HTTP. I’ve not looked into HTTPS but you would need to have certificates installed on the Squid Proxy, decrypt the HTTPS traffic, inspect and cache it, then re encrypt using your Squid certificate.